We pride ourselves on our commitment to excellence, integrity, and quality dental care through the variety of dental services we provide. You will always be cared for with respect, and receive the individual dental care attention you deserve. Our dental office is located at Boston MA. As a dentist in Boston MA, our caring staff provides each of our patients with a friendly, personalized and gentle experience. Our collaborative approach and compassionate dental care will help you and your family to maintain a lifetime of healthy smiles. To ensure a comfortable experience, our Boston dental practice provides a warm and relaxing environment, along with a knowledgeable and supportive staff. 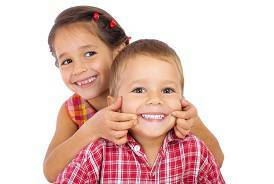 We understand that each patient has unique dental care needs and concerns. Every effort will be made to cater to those dental care needs. As your Houston dentist, our staff are committed to making their quality dental services, and your complete dental health care their top priorities. Come visit us to experience it for yourself. So if you are looking for a Boston family dentist, Boston cosmetic dentist, or Boston pediatric dentist, request an appointment today or call us at (617) 307-7677.